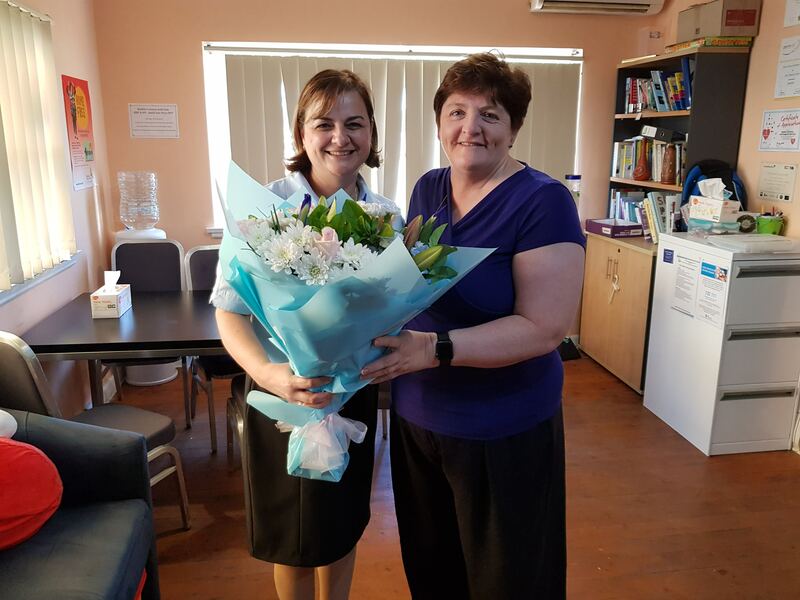 This week, Anne Stanley MP added her voice to community-wide sentiments congratulating Bonnyrigg Heights resident Grace Fava OAM on her Order of Australia Medal for her work establishing the Autism Advisory and Support Service (AASS). Grace received the OAM at the recent Australia Day Honours ceremony. In congratulating Grace, Anne said: "Many congratulations to Grace Fava on her well-deserved receipt of the Order of Australia medal. Grace's passion and commitment make such a difference to families and children with autism in our area. This well-deserved honour goes some way towards recognising the tireless advocacy and work Grace does in our community." Earlier this week, Anne visited Grace to present her with flowers. A photograph is attached below.